Your child’s birth: The start of a new journey and a major life moment you will remember forever. Whether your baby-to-be is a plan or a surprise, a first-born or a younger sibling, welcoming your new little one into the world is a once-in-a-lifetime experience. But first, you have to make choices about how and where you want to give birth. In thinking about where you will give birth, first explore what type of birth experience you want and who will be there to care for you and your baby, as these factors play into your birth-place options. Williamson, who recently published “Birthing in Alaska: A Modern Woman’s Guide,” says one of the first questions to consider is what you hope for in your birth. In particular, she suggests you consider whether having a natural birth is important or if you know you want pharmaceutical pain management, such as an epidural, because that would impact your available choices. Give some thought to who will help bring your baby into the world. The individual attending to you will generally include either a physician (usually an obstetrician) or a midwife. The term midwife actually applies to two slightly different types of professionals. A certified nurse midwife (CNM) enters the field through a master’s degree in nursing, with specialized training in women’s care, while a certified direct-entry midwife (CDM) learns through a supervised system similar to an apprenticeship. “(CDMs) have a strict list of statutes and regulations that dictate how they can practice and who they can care for,” says Barbara Norton, CNM, clinical director at Geneva Woods Birth Center in Anchorage. “CNMs have more discretion in the type of client they can take care of, by virtue of the extra education.” CNMs can attend home, birth center and hospital births, whereas CDMs cannot get hospital privileges. Obstetricians on the other hand do not generally perform planned out-of-hospital births, explains Norton. With each of these providers, if they work in a group-practice setting, the likelihood that your favorite provider will be the person attending you at birth depends on the number of individuals in that practice, explains Stormy Antonovich, co-leader of the Alaska Birth Network. So if it’s important to you to have a more established relationship with one individual, look into smaller practices or single providers. Most Alaskan-born babies enter the world in a hospital. In 2009, 93 percent of the 11,317 births in the state occurred in a hospital, according to the Alaska Bureau of Vital Statistics. Some of the specific details of the birth experience vary depending on the facility, but within their operating procedures, hospitals strive to provide a comfortable setting. “What has evolved with hospitals that provide birthing services is that, over time, we have really understood and partnered with families for that (experience) to be as normal and natural a process as possible,” says Kate Mohr, assistant chief nurse executive at the Children’s Hospital at Providence in Anchorage, which encompasses the maternity center. If you know you want some sort of pharmaceutical pain management, a hospital is your only choice, but you can choose a natural birth as well. “Our goal is to make that experience the best for what that family is looking for,” says Mohr. Availability of aids such as birthing tubs or birth balls depends on the facility. Hospitals are the safest, and often the only choice, for high-risk pregnancies, although there is a range in the level of risk each facility can support. “Within the hospital, we have all the emergency equipment and staff right here,” Mohr explains about Providence in particular. State regulations prohibit CDMs from attending out-of-hospital births if certain risk factors are present, says Norton. 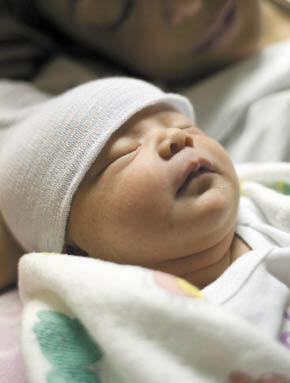 Birth centers are designed to offer moms a comfortable, home-like atmosphere. Many moms choose these facilities because they want an unmedicated, natural birth, and may not want to give birth at home. They may also want to be close to a hospital in case of complications. Some birth centers are connected to a hospital and some are part of the hospital, but most are separate “freestanding” buildings located a few miles from a hospital. They are staffed by health care providers that can include nurse-midwives, direct-entry midwives, or nurses working with an obstetrician. In birth centers, many of which offer the water birth option, moms are free to follow their bodies’ cues throughout labor, including movement and the choice to take food or drink whenever they want. Intravenous fluid and continuous electronic fetal monitoring – routine procedures in hospitals – are not commonly used at birth centers, so women have more freedom of movement, explains Antonovich. If complications arise, midwives facilitate transfer to a hospital. In some cases, birth center CNMs have hospital privileges so they can continue care after the transfer, otherwise midwives can accompany moms to the hospital, but cannot continue to provide care. Birth centers are a safe choice, provided you’re a healthy woman with a low-risk pregnancy, says Antonovich. These centers also offer a more intimate, private and quiet setting, with fewer caregivers coming in and out of your room, compared to a hospital. The amount of time moms and babies remain at the birth center after birth varies by facility, but is a matter of hours, not days as at a hospital, explains Antonovich. A home birth occurs (surprise!) at a family’s home, attended by a certified midwife. Many of the providers at birth centers throughout the state also offer home birth services. However, midwives can attend home births without being connected to a center. Home births have all the aspects of birth centers, but within your own home. Midwives bring a birth kit, or else have you buy one beforehand, with all the tools and supplies that they would have at a birth center, explains Williamson. Like birth centers, midwives monitor moms and babies and facilitate transfer to a hospital when necessary. Of course, since you are already home, you do not need to leave soon after the birth, so you can settle into rest and recovery. Many families choose a home birth so they can have a more natural, intimate experience. Of the families that choose home birth, many already have at least one child and are looking for a different birth experience. “Having gone through the process once before, I was more than confident in my body’s ability to safely birth a baby,” says Crystal Cecil, an Anchorage mother of two. There’s no doubt, having a baby is expensive. However, Alaskan parents are fortunate that some insurance providers will cover a range of birth options. Denali Kid Care, the state’s Medicaid program, covers all three choices, according to Claire Norton-Cruz, office manager at Geneva Woods Birth Center. “Some of the other major providers will also cover a number of options,” says Norton-Cruz. In looking at your birth options, keep an open mind, but know the choice is yours to make. Familiarize yourself with your choices, then discuss with your partner what environment you feel most comfortable, and plan your birth around that. Ultimately, whatever birth option feels right for you is the right choice. While you might hear plenty of opinions from family members, friends or strangers about the “best” way to give birth, remember this is your body, your baby and your birth story. Enjoy your child’s birth, and all the years to come.